Singapore Airlines’ regional carrier SilkAir recently marked seven years of flying to Australia. This March 2017 story from the Australian Aviation archives charts the first five years of SilkAir’s operations in the country, which began with nonstop flights to Darwin in March 2012. When SilkAir launched flights to Darwin in 2012, comparisons with Jetstar in this part of the world were in some ways inevitable. After all, the Australian travelling public had become all too aware of the differences between the legacy Qantas and its low-cost offshoot since the Orange Star came to life in 2003, particularly in terms of the passenger experience. Like Jetstar, SilkAir is also a subsidiary of a larger parent, in this case Singapore Airlines (SIA). While being associated with such a well-regarded and much patronised airline in Australia has its advantages, SilkAir manager for northern Australia Chen Qing Yi explains SilkAir in the early days struggled to shake off the public impression that being a subsidiary of Singapore Airlines meant it was a low-cost, or budget, operation. “The work of the pioneers of the Darwin station was really to go out and correct that brand image that people had of us,” Chen tells Australian Aviation in an interview on the phone from Darwin in early February. “That has worked well, we have seen our passenger numbers increase through the years. 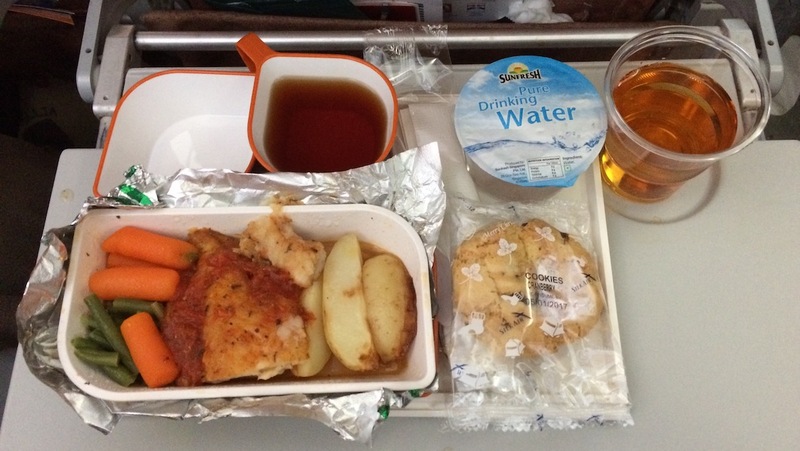 In contrast to what Jetstar is to Qantas, SilkAir is a full-service carrier that serves meals, has inflight entertainment (streamed to personal devices) and includes checked baggage with every business and economy class ticket, as well as offering interline and through-check options for travellers on multi-stop itineraries. It is described within the airline group – which also includes the soon-to-be-merged low-cost carriers Tigerair Singapore and Scoot – as the “regional wing of Singapore Airlines”. And it has an important role in the SIA group’s network, given its narrowbody aircraft are able to serve secondary cities within six and a half hours’ flight time from Singapore more economically and with an appropriate level of capacity than Singapore Airlines’ all-widebody fleet. 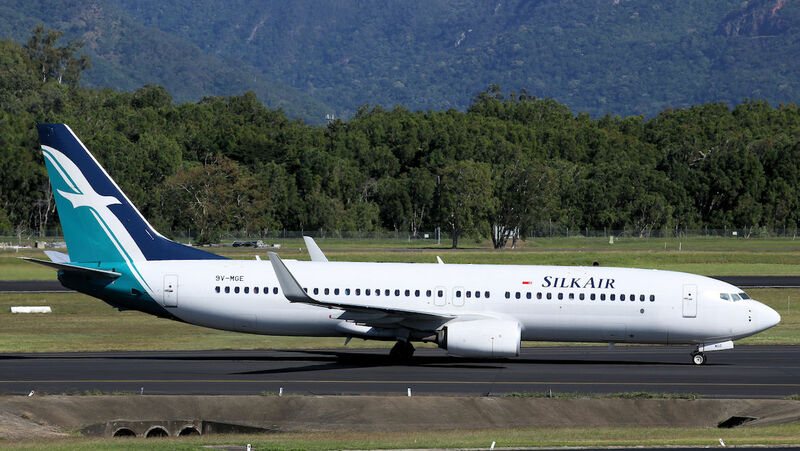 Cairns and Darwin are two Australian examples of this network role, with SilkAir also flying to places such as Vientiane and Luang Prabang in Laos, as well as the likes of Lombok and Medan in Indonesia. There are also a growing number of ports that are served jointly by both Singapore Airlines and SilkAir, such as Kuala Lumpur, Kolkata and Yangon. Aviation thinktank CAPA – Centre for Aviation describes some of SilkAir’s destinations as markets where it is difficult to generate high loads on a year-round basis but are important to maintain given their role in the overall SilkAir/Singapore Airlines network. “On most of its thinner routes a majority of passengers connect to flights operated by SIA, the parent airline,” CAPA said in a research note dated January 22. “While SilkAir may not have high loads on some of these routes, the connecting passengers they generate can be crucial for the viability of SIA long-haul routes. “Using both the Singapore Airlines and SilkAir brands, while avoided several years ago, is an evolutionary strategy as it enables the group to match capacity best with demand in a now-diversified market where LCCs have proliferated. 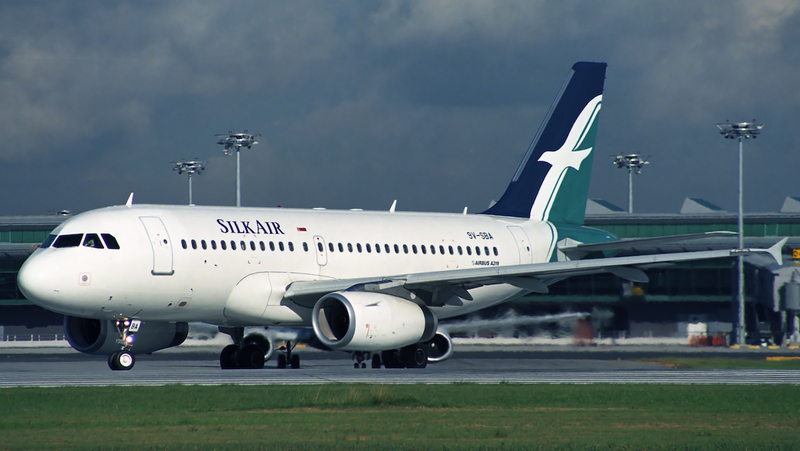 Figures from CAPA show SilkAir has expanded its route network from 26 destinations in 2006 to 52 currently. Capacity, measured by available seat kilometres (ASK), doubled between 2008 and 2016. The airline now flies to all 10 Association of South East Asian Nations (ASEAN) member countries. Despite this furious pace of growth, SilkAir has reported an annual operating profit for 15 consecutive years dating back to 2002, CAPA said, although expansion had impacted yields – average fares per passenger – and load factors in recent times. SilkAir posted an operating profit of S$30 million for the three months to December 31, down from S$33 million in the prior corresponding period. 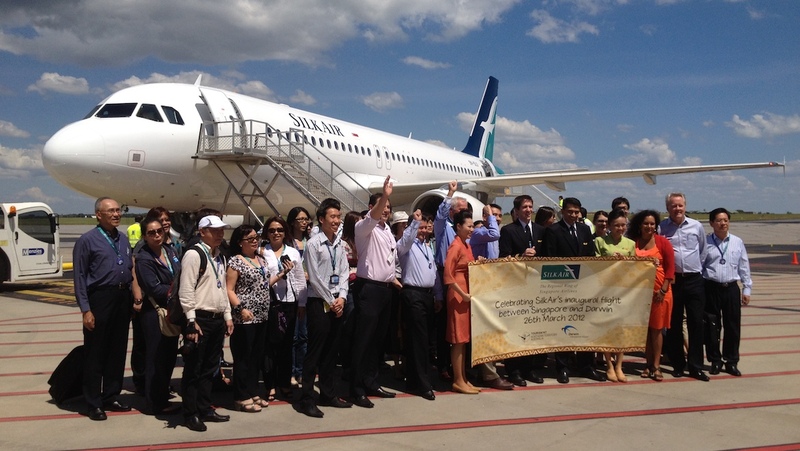 SilkAir celebrates the start of flights to Darwin in 2012. SilkAir celebrates five years of operating to Australia in March, having started services to Darwin on March 26 2012 with four flights a week. The route went to five times weekly in 2014 and currently operates with a split schedule featuring either red-eye or afternoon departures from Darwin, depending on the day of the week. In May 2015, SilkAir added Cairns, with an initial three flights a week operating via a Singapore-Darwin-Cairns-Singapore routing. A measure of the route’s success was the move to de-link Cairns and Darwin in May 2016, a year after the inaugural service touched down in North Queensland. Further, SilkAir vice president commercial Ryan Pua says Cairns will move to four flights a week from June, while a fifth weekly service will be added for some peak months. “Since decoupling, both the Singapore-Cairns and Singapore-Darwin routes have performed well, tracking internal projections,” Pua tells Australian Aviation via email. Cairns is also a special case in the SilkAir network, given it is the only destination where pilots and cabin crew overnight after the six-hour, 45 minute flight from Singapore. Crews perform a direct return on all other city-pairs, including Darwin. Chen says Darwin’s split schedule allows SilkAir to offer a wider variety of connections beyond its Singapore hub, with London Heathrow the most popular destination for outbound travel from Australia. The MI804’s 0610 arrival in Singapore is timed for passengers travelling to just about anywhere within South-East Asia, while MI802, which lands in Singapore at 1900, is ideally suited for those travelling to Europe and South Asia. “The reason why we have the split schedule, again is because we want to better suit the needs of the market,” Chen says. 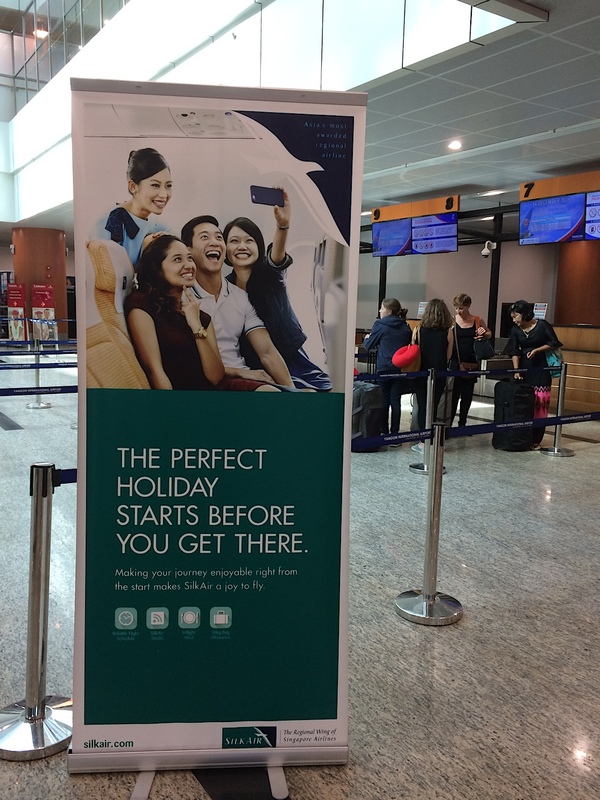 Bureau of Infrastructure, Transport and Regional Economics (BITRE) figures show SilkAir carried 38,000 inbound passengers to Australia for the 12 months to June 30 2016, up 63 per cent from the prior corresponding period. The 2015/16 average load factor was 74 per cent, compared with 68.3 per cent for the prior year. The number of outbound passengers jumped 75 per cent to 42,021, with load factors 11.5 percentage points higher at 82.1 per cent. And in an indication of the airline’s expansion in this market, SilkAir operated 317 flights in 2015/16, a 43 per cent increase from 222 flights the prior year. SilkAir’s Cairns and Darwin services, like Singapore Airlines’ flights to Adelaide, Brisbane, Canberra, Melbourne, Perth and Sydney, are supported by the alliance with Virgin Australia. When Scoot’s Gold Coast flight is included, the airline group serves nine cities in Australia, the same number as Air New Zealand. The John Borghetti-led Virgin places its VA airline code on all Singapore Airlines and SilkAir flights out of Australia, as well as throughout the pair’s Asian and European services. There are also reciprocal frequent flyer benefits, including lounge access, priority check-in and boarding, as well as the ability to transfer points (or miles) between the Singapore Airlines/SilkAir KrisFlyer program and Virgin’s Velocity Frequent Flyer. Chen, who has been based in Darwin since March 2015, says the codeshares, as well as access to Australian domestic destinations beyond Darwin and Cairns, have helped attract more passengers onto SilkAir’s services. “We are privileged to be alliance partners with Virgin Australia because what they do is they provide us the reach into the domestic market that we otherwise would not have,” Chen says. Virgin serves Alice Springs, Brisbane, Melbourne, Perth and Sydney nonstop from Darwin, where it opened a premium passenger lounge in March 2015. It also offers nonstop flights from Cairns to Brisbane, Melbourne and Sydney. Cairns Airport chief executive Norris Carter says SilkAir is a valued international airline partner, given the number of overseas travellers it brings into the city and surrounding region. “The service attracts European, Chinese, South-East Asian and Indian travellers, who make up almost 60 per cent of all international visitors to Cairns,” Carter tells Australian Aviation via email. In addition to Singapore, Cairns also has year-round international flights to Bali, Osaka and Tokyo (Jetstar), Papua New Guinea (Air Niugini) and Hong Kong (Cathay Pacific and Hong Kong Airlines), as well as Manila and Auckland (Philippine Airlines). Air New Zealand, China Eastern, China Southern and Jin Air also offer seasonal flights to Cairns. In November 2012, SilkAir announced it would transition from Airbus A319/320s to the Boeing 737, putting pen to paper for 23 current model 737-800s and 31 737 MAX 8s. The order was a high-profile “win” for Boeing – given SilkAir’s position as a premium full-service carrier in the fast-growing Asian region – and one that left executives at Airbus bitterly disappointed. 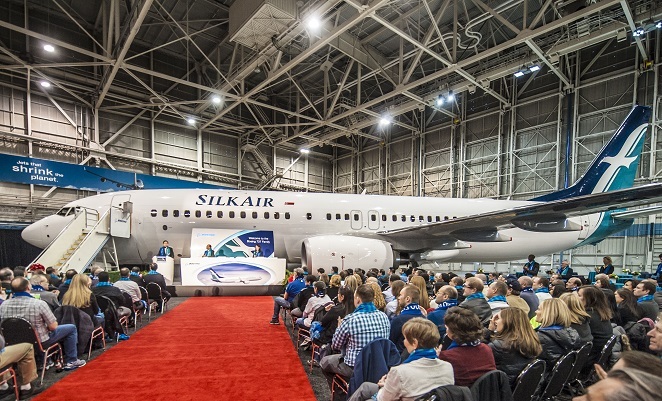 The first SilkAir 737-800 arrived in February 2014. Currently the airline has 31 aircraft – 17 737-800s, 11 A320s and three A319. This is up from 24 aircraft at the end of 2014, the last full year the airline operated an all-Airbus fleet. The company recently converted its last six 737-800 orders to the MAX, with the first of the new generation Boeing narrowbody due to arrive in the third quarter of calendar 2017. While Pua says he is unable to offer any information on specific routes the MAX will be used for, the SilkAir executive indicated the aircraft’s improved economics and operating performance could open the door to additional Australian services. “With the arrival of the MAX and the longer range it offers, there is definitely potential for further expansion to more cities within Australia,” Pua explains. SilkAir A319s have 128 seats (eight business and 120 economy), while the A320s have 12 business and 138 economy seats for a total of 150. As a consequence, SilkAir has not only grown capacity and expanded its network through new aircraft, the transition to Boeing equipment has also meant more seats on existing routes, given the 737-800s have 162 seats – 12 in business and 150 in economy. Pua says SilkAir is comfortable with the use of the larger gauge 737‑800s and 737 MAX 8s in place of the smaller A319 and A320. There is also the prospect of new cabin products being unveiled for its soon-to-arrive MAX fleet. “In terms of capacity, we have factored in the replacement of the Airbus aircraft in our overall resource and deployment planning,” Pua says. Both Cairns and Darwin are served with the 737-800. Pua says SilkAir’s focus is to provide feed to and from the SIA network via the airlines’ Singapore hub, taking into account the long-term positive prospects of the cities, and calibrating supply with demand. “We have been the pioneers to venture into diverse, secondary destinations in Asia, some of which are still relatively untouched by mass tourism,” Pua says. While the two carriers already work together selling connecting itineraries, coordinating on joint pricing and optimising flight schedules for maximum network connectivity, CAPA argued there was scope to do more. “SIA and SilkAir have pursued closer integration over the past several years, which has benefited both airlines,” CAPA said. “However, there is still too much separation – particularly given the number of routes the two airlines now share. “Further integration could be pursued in 2017, including merging of the SIA and SilkAir sales teams. Having separate commercial teams with separate sales targets no longer makes sense, given how the networks are now aligned. And while Singapore Airlines is a member of the Star Alliance, SilkAir is not, a situation which has at times caused confusion for passengers transiting through Changi Airport to or from a Star Alliance flight (for example arriving on a Lufthansa service from Frankfurt and connecting onto a SilkAir-operated service to Phuket) regarding frequent flyer benefits such as lounge access. By contrast, Hong Kong-based Cathay Pacific and its regional subsidiary Cathay Dragon are both members of oneworld, ensuring a consistent passenger experience for oneworld airline frequent flyer members. Pua declined to answer directly when asked why SilkAir was not a member of Star Alliance. Instead, he would only say passengers travelling on the regional carrier could earn points on Singapore Airlines’ KrisFlyer frequent flyer program. This story first appeared in the March 2017 edition of Australian Aviation. To read more stories like this, become a member here. Silk Air, better service than its parent compnay! !